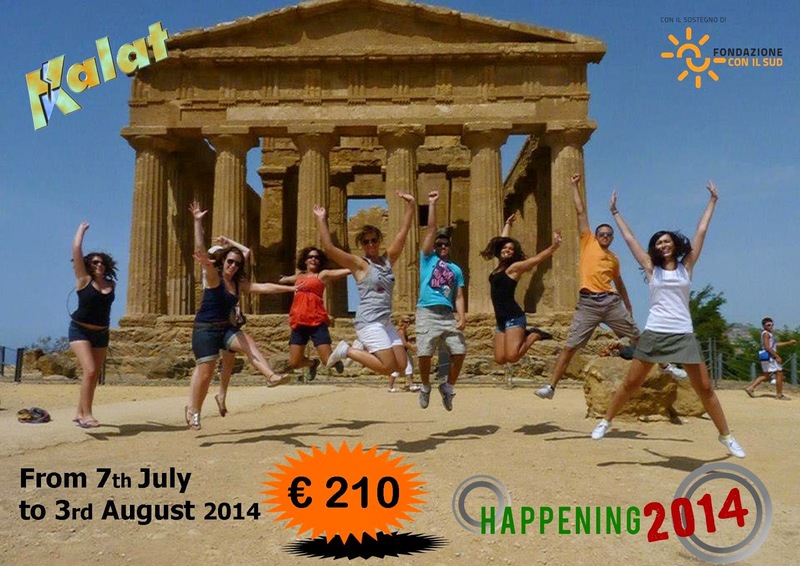 The cultural association Archeoclub d'Italia di Campobello di Licata in Sicily is organizing an international youth summer camp from July 7 to August 3, 2014. The program will be open to enthusiasts, students, volunteers, and associated professionals between the ages of 18 and 35 and will include the continuation of the recovery of the Late Bronze Age necropolis (XXII-XVI centuries BC) of Parco Antico lachinu Fili, as well as the surface survey of a number of areas of archaeological interest. Further information and contact details can be found here. I just wanted to apologize for my absence from the Archaeology and Heritage blog in the last few months. 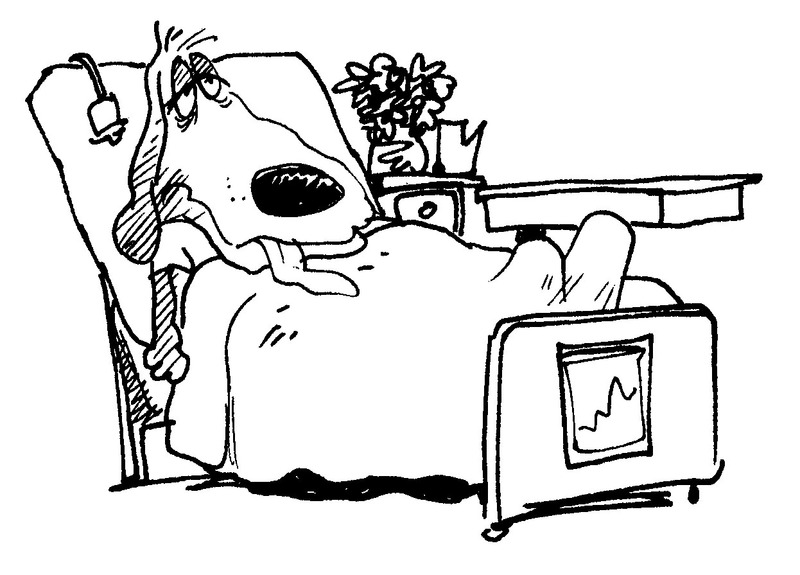 As some of you know, I underwent major surgery this year, but unfortunately this has led to some significant complications, and may take some time to resolve (including at least one other surgery). I hope that I will be able to return to work soon and thank you once again for your patience. With very best wishes. 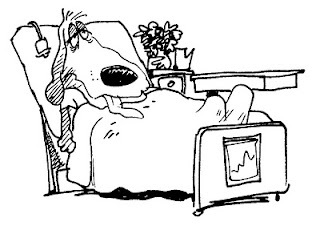 Just a note to let you know that I will need to take some time out to recover from an impending surgery, but I will endeavor to write new blog posts as soon as possible. Thank you for your patience. “There is a trend toward teachers understanding the different ways of learning… Written materials are not the only way”. In several earlier posts, I talked about the benefits of public education in archaeology (For more information, see here and here). Experimental archaeology is one of the more recently developed directions in archaeological research, although archaeologists are now becoming aware that one of the most effective ways to engage the public and to understand the past is to try to reconstruct it as accurately as possible. Educators are also realizing that not all students learn the same way via written materials and that hands on experience-based activities raise both interest and cognitive learning. An example of this would include the innovative and long-term research project at Butser Ancient Farm, Hampshire, in southern England. 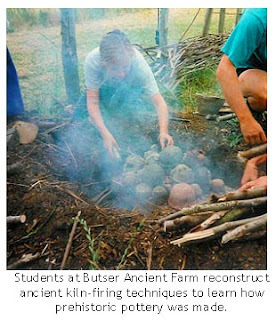 Butser Experimental Farm provides unique opportunities for the public and students to take part in organized experimental archaeology activities. The site is a working replica of an Iron Age farm settlement with earthworks, ancient structures, crops and livestock, in order that the agricultural and domestic economy of the late prehistoric period in Britain can be studied. Visitors are encouraged to participate in any of the practical sessions, such as prehistoric agriculture (grinding corn), animal husbandry (feeding livestock), and manufacturing (pottery making, metal and charcoal production and spinning). Peter Reynolds, former director of Butser, expressed that essentially experience is probably the best teacher of all. Some time ago, I personally attended one of their residential archaeology courses and I doubt that I would have learned as much from solely a didactic presentation (See insert box below for further details). Butser continues to provide a wide variety of quality courses, demonstrations and events for the public (of all ages) and is worth a mention here. The late Dr. Peter Reynolds (1939-2001) established the long-term research project for Butser Ancient Farm in 1972, with the initial support of sponsors such as the Council for British Archaeology (CBA). The project was set up specifically as a program for research and education, and the goal was to construct a practical working version of an ancient farm in order to study the domestic and working structures, manufacturing activities, crops, and domestic animals of the Late Iron Age and early Roman periods (c.400BC to 400AD in Britain). The project was devised from evidence excavated from archaeological sites and the results from Butser experiments were to be compared with archaeological remains in order to test ideas put forward by archaeologists. Butser is not an archaeological site or a museum, but an open-air research laboratory for archaeology, where the Romano-Celtic World is being investigated by full-scale experimentation using the techniques and materials available at that time (but also by applying modern technologies such as magnetic susceptibility, mass spectrometry and computers to enhance archaeological practice). Continual experimentation with the changing seasons, as well as corrections in archaeological theory, means that the farm is in a dynamic state of change, as opposed to merely representing a static reconstructed prehistoric settlement. Based on archaeological remains from sites such as Little Woodbury in Wiltshire, Moel y Gerddi in Wales, and Sparsholt in Winchester, Butser has been able to reconstruct several types of building, such as Iron Age round houses and a Roman villa with a working hypocaust (under-floor heating). Although reconstruction is often an imperfect product of our time and archaeological truths are debatable, Butser nevertheless endeavors to perfect the work they present in order to make them as historically accurate and as relevant as possible. For instance, Maureen Page, Director of Butser’s School Education Program, says that there are no other sites in the whole of the UK that use original building materials to the same extent as those used for the Roman villa at Butser Farm. Similarly, prehistoric types of crops and livestock or their nearest equivalents have been brought to Butser. Although the Ancient Farm has now been in operation for 38 years, it hasn’t always occupied the same site. Its initial location was on Butser Hill in Hampshire (from where it takes its name) and a second site was opened in 1976 at Hillhampton Down in order to better accommodate the visiting public. In 1991 the whole project finally moved to its present location on Bascomb Copse at Chalton, Hampshire. Butser Ancient Farm is now operated independently by Butser Education CIC, and since moving to its present location, economic support is solely obtained through its educational programs. Despite the recent economic downturn, Butser is able to continue its original mission of carrying out quality experimental research and educational activities. Indeed, Butser is witnessing a continual increase in visitor numbers, particularly secondary school students this year. The site has also managed to rebuild four Iron Age round houses in the enclosure and also has plans for a fifth, as well as a new visitor center by September. Butser offers a variety of fascinating and unique hands on experienced-based educational activities for school groups, educators, undergraduates, graduate students, archaeological societies, special interest groups and the general public. The vast numbers of visitors that Butser receives every year attests to the quality of programs they consistently provide. More than 14,000 school children are welcomed to the site each academic year, in addition to scores of others who participate in workshops or special events. For primary school children up to age 11 (Key stages 1 and 2), sessions meet many aspects of the national curriculum by assisting with general education issues. Children can explore technologies from the ancient world of the Iron Age Celts and the Romans, enabling them to make connections with different societies. Such awareness can help diminish stereotypical beliefs about people who existed in the past and influence children’s consideration of other people and their heritage. The farm’s educational component can also assist with numerous parts of the school curriculum for secondary children up to the age of 16 (Key stages 3 and 4). For instance, the pre-Roman periods are not readily included within England’s national curriculum, but the core subject of history can cover prehistoric life, the Iron Age Celts, Romans and early civilizations. Children are encouraged to use complex thinking skills by contributing to discussions about their experimental research. All visits begin with a preparatory talk in one of the distinctive Iron Age round houses or in the Roman villa, before students become actively engaged in any hands-on activities. Unlike traditional teaching methods, students aren’t simply the passive receivers of information, but are able to actively learn through their own experiences at Butser (learning through doing). The site intentionally omits offering classroom materials to students or teachers, so as not to be distracting in any way. The one-day sessions are selected in collaboration with school teachers and can be tailored to meet particular requirements. Although England’s curriculum contains core subjects with key concepts and processes, the programs of study are not rigid, and offer broad parameters for content. Teachers are therefore given more autonomy to develop creative learning methods in schools. There exists a collaborative effort between Butser’s educational program and schools in order to develop suitable curriculum methods. Teachers are encouraged to devise their own follow up lesson plans from their visit to the farm. Likewise, although Butser has its own research agenda and is not specifically driven by educational requirements, it nevertheless continues to respond to the changing needs of education. Although the teaching of heritage stewardship is not a major component of Butser’s agenda, it is nevertheless briefly mentioned in their courses. Despite the subject of archaeology no longer being taught in schools at GCSE level (only at A Level and beyond), Maureen Page was pleased to say that experimental archaeology has now become mainstream within many college archaeology courses in the UK. In fact, Butser offers a variety of experiences for sixth form students and students from colleges and universities. The site also has workshops for the general public (of all ages), which entail hands-on experience in ancient crafts and archaeological methods with qualified instructors. Although such workshops cover similar themes to those that I attended during the 1990s (See insert box for further information), financial constraints mean that five-day residential courses are no longer offered. One or two-day courses are however available, but accommodations are now recommended off-campus. Special events are also available, and can sometimes include food and celebrations with story telling or singing, or perhaps even the chance to try your hand at using ancient weapons. Those who sign up for Butser can also enjoy the unique and evocative setting amongst or within reconstructed Iron Age round houses and a Roman Villa, as well as a variety of crops and animals similar to those found in the Iron Age (such as Emmer, Spelt and primitive sheep called Soay). 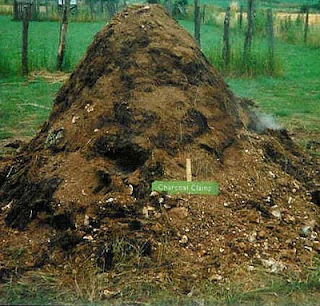 This pyramid fire was covered with straw and then soil in order to keep air out, thus preventing combustion of the wood inside. The fire burned slowly for about 36 hours, so that the timber would reduce into carbon to produce charcoal. Some time ago, I attended a workshop called “Fire, Clay and Metal”, which was mainly aimed at examining the role of fire in prehistory and the Roman period and the development of metallurgy. Topics included the agricultural use of fire, pottery production and kiln construction and firing, as well as practical work in the production and alloying of metals from base ores using bowl and shaft furnaces. Despite attending this workshop a very long time ago, it left a positive and everlasting impression, to such an extent that some of the supplementary early technology courses I later attended with my first degree seemed somewhat inferior by comparison. I was fortunate to be able to spend my then five-day residential course working in a relatively small group that was directed by the wonderful Dr. Peter Reynolds. At the start of each day we received appropriate instruction for the topic at hand before embarking onto our lively experiments. The course was so comprehensive that we not only refined our clay in order to make pottery, but we also constructed a charcoal clamp and Iron Age pottery kiln before firing our own handiwork! Despite Pete’s unwelcome departure, I am pleased to hear that Butser Ancient Farm’s educational component is still thriving and continues to offer many stimulating and quality experienced-based activities to people of all ages and aptitudes. Although the real past will always elude us and we will never know EXACTLY what it was like to live in the Late Iron Age and early Roman periods of Britain, for almost 40 years Butser Ancient farm has been effective in offering a fascinating insight into ancient times. The research conducted within such a distinctive and stimulating environment offers a unique teaching tool that can also address many curricula concerns (such as science, history, art, literacy and numeracy). Butser’s innovative educational programs connect with the public through exciting hands-on learning opportunities, and have introduced thousands of people to experimental archaeology. Butser has also significantly improved our understanding of the Celtic and early Roman periods of southwestern England, as well as many other aspects of the remote past. The hands-on experimental approach at Butser is offered at all levels (pre-college, college and for the adult public) and is suitable for all ages and abilities. Indeed, there is something for everyone at Butser Ancient Farm, no matter the level of interest possessed in the field of archaeology or education. Although pre-college school has ended for this academic year, it’s never too early to plan for next year so that you don’t miss out next time. Also, there still time to sign up for many workshops and special events in 2010 (some sessions may be booked in advance). In July, there is a practical archaeology weekend school, which provides an introduction to archaeological excavation and recording methods. There is also a workshop to observe the common herbs grown in the Roman home, or a lecture and presentation on Roman cooking where attendees may participate in the preparation of a Roman feast in the villa kitchen. Courses are also available on metal production, pottery making, coracle construction, or cave painting, and much, much more. Special events activities include a weekend to observe skilled flint knappers from the Lithic Studies group, an open weekend where Butser will be cooking various foods for visitors to taste, or Samhain Celebrations (Festival of the Dead), involving story telling and a live band in the ‘Great Round House’. For more details, please click on the Butser links located at the end of this blog post. Jameson, J. H., Jr. (ed.) 1997. Presenting Archaeology to the Public: Digging for Truths. Altamira Press. Reynolds, Peter, J. 1999. Butser Ancient Farm, Hampshire, UK. In: P.G. Stone and P. G. Planel (eds.) 1999. The Constructed Past: Experimental archaeology, education and the public. Routledge: One World Archaeology Series. Sansom, E. 1996. Peopling the Past: Current Practices in Archaeological Site Interpretation. In: P. McManus (ed.) 1996. Archaeological Displays and the Public: museology and interpretation. Institute of Archaeology. University College London, 118-137. Stone, P. and Mackenzie, R. (eds.) 1994. The Excluded Past: Archaeology in Education. Unwin Hyman: London. Stone, P. G. and Molyneaux, B. L. (eds.) 1994. The Presented Past: heritage, museums, and education. Routledge: One World Archaeology Series. Stone, P. G. and Planel, P. G. (eds.) 1999. The Constructed past. Experimental archaeology, education and the public. Routledge: One World Archaeology Series. Wallace, M. 1990. The value of special events as interpretive tools. Heritage Interpretation: 44. Like any other profession, archaeology uses specific industry language that can be difficult to understand. Archaeologists use many technical terms and unique jargon in their work to describe particular periods, techniques and artifacts. Although I initially attempted to explain these terms at the end of some blog posts, I thought it might be more useful to add an archaeology Glossary to this weblog for better ease of reference. The subject of archaeology should be made accessible to everyone and, in my last couple of posts, I emphasized the importance of stimulating public interest in order to promote awareness for our cultural resources and heritage preservation. For more information, see my previous articles here and here. As an advocate for archaeology education, I feel it is my duty to help the uninitiated reader have a basic understanding of the concepts and terms that are frequently used within the archaeological profession. The purpose of this Glossary therefore is to help the user better understand archaeological terminology, no matter the level of interest possessed. Whether you are a professional in the heritage sector, an educator, a student, an avocational archaeologist, or someone who has just embarked on the subject, you should be able to comprehend this information. (a) Each term defined in this Glossary is shown alphabetically in bold font. (b) Terms may be single words or longer phrases and may include domain-specific jargon or abbreviations. (c) Within the text of definitions, supplementary terms defined elsewhere in the Glossary are shown in italics for ease of cross-referencing. (d) Within the text of each new blog post, the terms available for access in this Glossary will be shown in bold font. (e) Glossary entries are provided primarily in US English although UK English is also included where appropriate. Please note that this Glossary does not provide a comprehensive list, as the terminology specific to the discipline of archaeology is seemingly infinite. Further, this Glossary is a work in progress and entries may increase as new blog postings are added. It is also not intended as a study guide for students, although a mastering of this “archaeological vocabulary” may enhance some courses taken in archaeology. The Glossary’s main purpose is to provide a quick and easy reference to the meanings of popular terminology used in the field of archaeology. For further information about the terms defined, it is recommended that the reader consult external sources such as those listed in the Bibliography below. I hope you will find this Glossary useful! Lord, J. W. 1993. The Nature and Subsequent Uses of Flint. Volume 1: The Basics of Lithic Technology. John W. Lord. Rice, P. C. 1998. Doing Archaeology: A Hands-On Laboratory Manual. Mayfield Publishing Company. Zimmerman, Larry J. and Molyneaux, B. L. 1996. Native North America. University of Oklahoma Press. In my previous post, I discussed the many reasons why archaeology education ought to be applied to the lay public, particularly to students who are still enrolled in pre-college education. Not only has it proved to be an effective tool for combating the rising problem of damage to archaeological remains, but it can also diminish stereotypical beliefs about people who existed in the past, and extinguish misconceptions about what the responsibilities of an archaeologist are. Additionally, it is an excellent way for students to experience the thrill of discovery, while also addressing many educational concerns in the classroom. (For more details, see my earlier post here). Indeed, this past decade has experienced many uses of public interpretation and outreach models and an increase in the collaborative effort between professional practitioners in public interpretation and educational institutions (such as schools, museums, historians and other cultural resource specialists). Experts now understand that community-based partnerships enable better strategies to be devised for translating archaeological information to the public, and thus a more effective means for preserving our cultural heritage for the long-term. 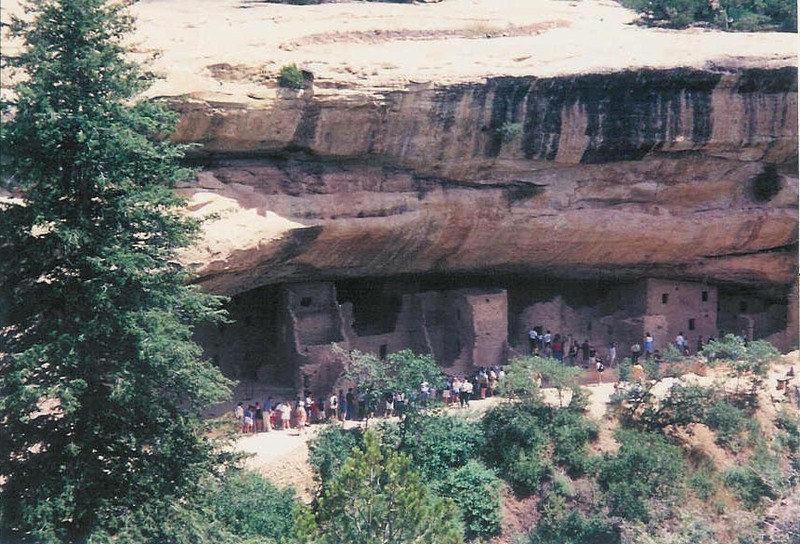 For instance, Mesa Verde National Park and Crown Canyon Archaeological Center have formed an effective educational partnership (See here for details). Located in extreme southwestern Colorado, Crow Canyon has been forthcoming in providing innovative public outreach efforts, and offer opportunities for the public to take part in organized and supervised archaeological investigation. The Center was formed in 1983 as an independent 501(c)(3) not-for-profit organization and is dedicated to archaeological research and education. Crow Canyon’s research focuses on the ancestral Pueblo Indians (also called Anasazi) who inhabited the Mesa Verde region of southwestern Colorado more than 700 years ago. The high quality research at the center enables other associated professionals to communicate ethical responsibilities (such as the need to preserve and protect archaeological remains) to both the academic community and the general public. In fact, the center provides reputable programs specifically designed for the public (of all ages) and is worth a mention here. Why was Crow Canyon established? The very beginnings of Crow Canyon’s supplemental experiential education programs extend back to the 1960s, when Edward Berger, a Denver High School history teacher, realized the need to break free from the restrictions imposed by the traditional education system. In the 1970s, he and his wife, Joanne, established an experiential school that provided outdoor education activities, including some archaeology programs. At that time, Stuart Struever, professor of Anthropology at Northwestern University, had founded the Center for American Archaeology (CAA) in Illinois, and in 1983 he became actively involved in the establishment of Crow Canyon as a campus for the CAA, particularly due to the fact that its surrounding area was so rich in archaeological remains. Crow Canyon Archaeological Center was thus set up with two equally important objectives in mind: To act as a long-term regional-scale research organization, and to concentrate on expanding and improving archaeology’s educational access to the American lay public. Due to the difficulties normally encountered in obtaining funding for archaeological ventures, and the fact that priorities are often given to projects thought more relevant (such as medical research), Crow Canyon made the decision two years later to obtain funding as a specialized, independent, nonprofit organization. So, they turned to the American populace for support. In this way, they have been able to engage both hands-on participants and strong financial assistance from individuals and organizations within the private sector. Such economic support is provided through program tuition, donations and grants from organizations including the National Park Service (NPS), the National Endowment for the Humanities (NEH), the National Geographic Society and the National Science Foundation. Despite the recent economic downturn, Crow Canyon remains positive about its future and is intensifying energies to increase revenue and to look for appropriate cost-savings. Over the years, the stimulation of Crow Canyon’s Center on the local economy (through archaeological tourism) has been as important as it is on education. Crow Canyon Archaeological Center has introduced thousands of people to anthropology/archaeology and Native American studies. Crow Canyon offers a variety of fascinating and informative activities for school groups, educators, teens, adults and families, which include participation in actual archaeology research, instruction from distinguished scholars and teachers, exploration of the landscape and travel adventures. The Center has produced a high standard of thorough research and scholarship, and offers various award-winning experienced-based educational programs, which enable the general public (of all ages) to be actively engaged in scientific research (both archaeological excavation and lab work), with professional archaeologists and trained educators. Education rather than interpretation is highlighted, so that students aren’t merely passive receivers of facts, but are able to learn effectively through their own experiences. All programs are guided by a respect for, and are created in collaboration with Native American scholars and advisors to make sure that their viewpoints are also included. The Center’s campus-based education programs are intended for both students and their teachers, with experiential learning programs for school groups (grades 4-12) and summer camps for teens (middle and high school). School group programs range from 1-5 days in length and teen summer camps entail 1-3 week programs. Although most students will get to experience real archaeological research, simulated archaeological sites have been developed for elementary students. Professional development opportunities for K-12 educators include NEH stipends for two one-week workshops and a three-week placement as a summer institute participant. These offer teachers a chance to enhance their own education concerns and goals. The Center has also published “Windows into the Past: Crow Canyon Archaeological Center’s Guide for Teachers”, which includes information on heritage education, archaeological research processes, approaches to teaching the past, ethic issues, core teaching modules involving a variety of lesson plans, and a correlation between the teaching modules presented in the guide and the National Standards for history, social studies, science, and geography. Although it is not a complete curriculum for pre-college archaeology, it does present thought-provoking, experience-based lessons for teaching the foundations of the archaeological process. The lessons offered in this guide form the central part of the Center’s award-winning education program. Although the guide may be used to teach about archaeological methods and the ancestral Pueblo culture, educators are advised to modify activities for their local area. Archaeology research and lab programs provide adults with the opportunity to work alongside professional archaeologists during excavation and to help analyze artifacts recovered from the field. “Family Archaeology Week” is a program that focuses on exciting, hands-on activities for the whole family. Programs also introduce participants to southwestern archaeology and culture of the Anasazi through “Inquiries into the Past”. 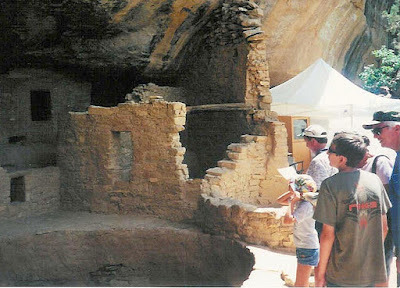 Day tours are also available for individuals or families, which include visits to impressive archaeological venues such as Mesa Verde National Park and the Anasazi Heritage Center. The Center also has an extensive educational travel program, which includes trips throughout the greater Southwest and to international venues. They provide extra opportunities to learn about both ancient and contemporary native cultures. This year’s trips include “Chaco Canyon & the Keresan Pueblo World” of northwestern New Mexico, “The Archaeology and History of Syria”, and “The Maya Past and Present of Chiapas, Mexico”. Heritage professionals with carefully planned schedules guide these trips. Those who sign up for the Crow Canyon can also enjoy the gorgeous landscapes of the Four Corners region (where the states of Colorado, Utah, Arizona and New Mexico meet), which is said to have one of the heaviest concentrations of well-preserved archaeological remains in the world. Campus-based participants get to stay in the shared Navajo-style “Hogan” cabins, or in dormitory-style rooms. All meals are made available on campus. For more than a quarter of a century, Crow Canyon Archaeological Center has been effective in presenting the impartial past beyond what is traditionally taught in textbooks. The internationally recognized archaeological research conducted by the Center has significantly improved our understanding of the pre-Hispanic human experience in the rugged Mesa Verde region of southwestern Colorado. Its innovative outreach efforts connect with the public through classroom instruction, hands-on learning opportunities and stimulating travel programs. All of these courses were developed in order to widen understanding of ancient cultures and to teach the importance of preserving our fragile and nonrenewable cultural heritage. Further, the Center’s dedication to collaboration with Native Americans ensures that the programs respect and incorporate the ethnic perspectives of the America’s first inhabitants. Despite the Center’s remote location in the Four Corners region of America, their work to protect and present the depth of our past reaches across the globe. There is something for everyone at Crow Canyon Archaeological Center, no matter the level of interest possessed in the field of archaeology or education. Although some programs have already been filled for this year, there is still time to sign up for many others… And it’s never too early to plan for the next season or to add your name to a waiting list (there is a provision to do so), so that you don’t miss out next time. This month is “Colorado’s Archaeology and Historic Preservation Month”, so you can celebrate by signing up for an archaeology day tour at Crow Canyon (For more information and prices, please click on the Crow Canyon links located at the end of this blog post). Davis, M. E. and Connolly, M. R. (eds.) 2000. 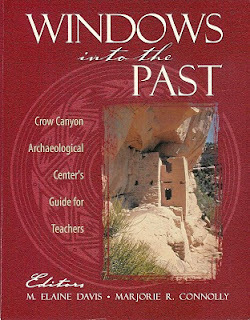 Windows into the Past: Crow Canyon Archaeological Center’s Guide for Teachers. Kendall/Hunt Publishing Company. Rogge, A. E. and Bell. P. 1989. Archeology in the classroom: A case study from Arizona. Technical Brief No. 4, National Park Service. Archeology Assistance Division, Washington, D.C.
Why Teach Archaeology at Precollegiate Level? A number of years ago I was involved in assessing the effectiveness of the Bureau of Land Management’s (BLM) Heritage Education Program, Project Archaeology: Intrigue of the Past, at the precollegiate level in Colorado. (The program had also been used in the states of Oregon, Utah and New Mexico). Although my sample size was small due to the lack of valid responses received from educators in Colorado, my evaluation data (cautiously) confirmed that the program was basically effective at the precollegiate level. I recently followed up with this program and I’m happy to say that it is doing very well. The Project Archaeology Program (PA) is now in partnership with Montana State University (MSU) and has become a national phenomenon. Amendments to the materials are continually being made in order to enhance its effectiveness, and the first of three new sets, PA: Investigating Shelter has recently been published and is now available. Further information can be obtained here. This exciting follow up has spurred me on to write a post about the importance of teaching archaeology in the classroom. The benefits of public education in archaeology have been known for some time. 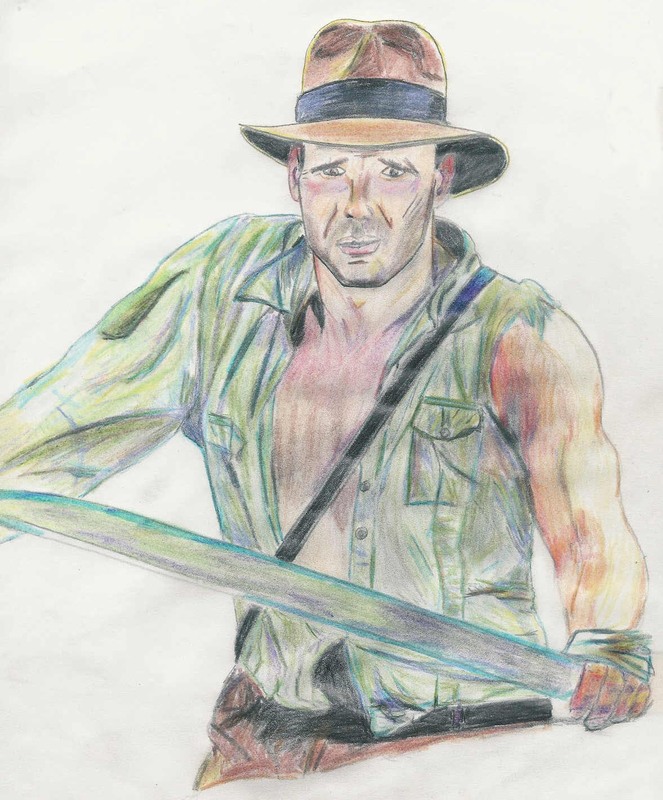 However, in both the United States and Great Britain, the subject of archaeology is still not included within pre-college education as a separate subject (aside from post-16 A Levels in England and Wales). In today’s world, teachers not only have the task of teaching curriculum subjects, but they are also challenged by countless other issues, such as keeping up with the constant progression in computer technology, coping with children with special needs (e.g., ADHD, dyslexia or autism), dealing with school bullying, and making sure that their students meet the requirements of national and local curriculum standards. It is no surprise, therefore, that teachers are reluctant to add an entirely new field of study into their already overburdened classroom agendas, especially one that is viewed to be somewhat esoteric. Additionally, financial constraints usually mean that archaeology programs rarely receive major budget allocations or grants, and those already in existence are usually the first to be terminated when considerable cut backs are made. Nevertheless, recognition of the need for more, and better public education about archaeology is emerging throughout both the US and the UK, as it is acknowledged that an improved public understanding of archaeology will result in the appreciation of archaeological sites and data, and thus less destruction of the archaeological heritage by the uninformed, such as pothunters, curio-seekers, and vandals. Precollegiate students and teachers form a segment of the general public that have become a key audience for archaeologists to instill their subject matter into formal classroom curricula. Not only does virtually every future adult initially experience early life as a student, but the resulting inquisitiveness from children can often have an influential effect on the attitudes of adults, such as parents, and grandparents. Researchers therefore believe that this is the most effective means for the transmission of heritage education standards and ethics to the general public. Archaeology involves the scientific study of past human cultures through the material objects (artifacts) that were left behind, and the physical remains of the natural environment in which they were connected (faunal and floral remains, soils, and so on). The term culture defines the shared customs and behaviors that exist, including language, belief systems and technologies. Archaeological remains provide clues about when a site was occupied and the way people were living (for instance, about social organization and cultural change). Although written records may sometimes help, in some cases (particularly in the US) no such records exist. Archaeology can thus be used to study the prehistoric past, prior to when written evidence begins, as well as during the historic part of history to support written documents. Archaeology is thus a multicultural discipline, which encourages respect for past and present human populations, and is a means of conserving our shared human heritage by providing individuals with viewpoints about their own links with the past. Why is it important to teach archaeology in schools? 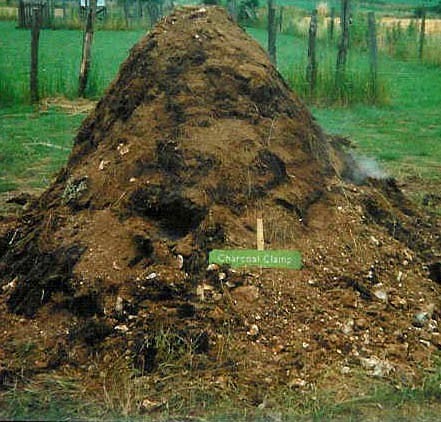 1) First, it can be used to fight the increasing problem of damage to archaeological remains, as a result of vandalism, looting, unscientific digging, insensitive development, destruction from natural forces, or simple neglect, by promoting a sense of responsibility and stewardship of the cultural heritage. Archaeology involves the study of the nonrenewable and fragile remains of past cultures, and it is a useful way to encourage awareness about the need to protect archaeological sites. It is being ever more recognized that archaeological sites are being destroyed at an alarming rate. Although legislation and regulation (for example, the National Historic Preservation Act in the U.S. and the Department of the Environment’s planning system currently under major reform in the U.K.) exist in order to deter some pothunters, experts believe that preventative measures such as education in archaeology would be more successful at protecting our heritage than threats of fines or jail sentences. Problems occur when people do not understand that their own explorations can permanently damage archaeological sites. They do not appreciate that artifacts, which are removed from their original depositional context, lose much of what they can tell us about the past. Further, many people are inclined to collect the most eye-catching artifacts (for example, arrowheads or decorated ceramics) without realizing that the loss of the artifact, much less an entire class of artifacts from a site or even region, can seriously impede what can be learned about an archaeological site as a whole. Indeed, many of the uninitiated are under the impression that archaeologists take finds home in order to expand their personal collections! This brings us to the second reason. Moreover, a popular belief is that archaeologists spend all of their time excavating. More than a few have assumed that my days as an archaeologist would involve solely digging around in the dirt (or exhuming some mysterious tomb in Egypt, or even worse, digging up dinosaurs). Essentially, archaeologists spend a fairly small amount of time excavating, compared to that spent analyzing and interpreting sites and finds, and preparing technical reports. In fact, the whole archaeological process starts well before any dirt is even removed from the topsoil, depending on what research questions there are. Experts say that it is indeed this misrepresented idea of archaeology that interferes with efforts to establish archaeology into the precollegiate curriculum, as it is erroneously presumed to be far too complicated or expensive. Such a notion that archaeology is just a bit of fun and teachers should get students involved in digging up some sort of feature on their school grounds can also unwittingly produce a generation of pothunters. It is therefore crucial to include the public in a wide range of resource types in order to produce future generations who have a better understanding of the great need for the protection of the archaeological heritage from the menace of unskilled excavations. 3) It is further recognized that teaching prehistory can lessen stereotypical views about people who lived in the past, influencing students’ consideration of other people and their heritage. Many children believe that women contributed little to the modern world, and that non-whites have no history. Such attitudes relating to racial or gender-role identity are harmful, as they dehumanize people by disregarding the distinctiveness and value of their cultures. For instance, in the US, the subject of history generally begins with the arrival of Christopher Columbus on San Salvador in 1492, excluding the larger part of human occupation in the Americas. Focusing solely on the written past not only ignores Native American cultures, but also overlooks other Americans who were deprived of formal education up until the beginning of the last century. Everyone’s past is important and should be impartially included in pre-college classrooms. Archaeology education enables a way of examining the life ways of indigenous peoples before and after European contact in the US. In my opinion, teaching the past using the single method of the written record, but excluding the archaeological evidence, is akin to teaching reading and writing with the use of only consonants and the exclusion of vowels! To acquire a better comprehension of the whole subject, it is important to use all tools available. 4) Archaeology is a superb way to gain student’s interest, while also addressing many educational concerns in the classroom. Archaeology presents real evidence and artifacts concerning actual people from the past, stimulating enthusiasm and generating feelings of intrigue, adventure and discovery. As well as making formal education more exciting, it is known that archaeology encourages complex thinking and team building skills, and it is broad-based in nature, enabling it to be effectively taught across traditional school subjects. Teachers find archaeology useful for enhancing a range of subjects for students of many ages and abilities, including geography, history, science, social studies, art, mathematics, citizenship and language arts. Students also find archaeology lessons intellectually engaging. Research has also shown that students who learn about the past through archaeology and its multidisciplinary hands-on activity-based nature (with teacher guidance), as opposed to the alternative traditional and passive textbook-based approach, tend to advance more cognitively, are likely to retain more information, and find such studies more rewarding classroom experiences. Archaeology in precollegiate education is a very worthwhile technique, which corresponds well with curriculum needs and state requirements making it more acceptable to professional educators. Students are generally interested in learning about the subject, and in their excitement are often keen to tell others about it, thus encouraging a broad spectrum of the public to respect our heritage resources. It seems therefore that the multidisciplinary subject of archaeology can increasingly make a large impact on precollegiate education. The creation of programs to spread positive messages about the value of our nonrenewable cultural resources should be considered a fundamental component of most public schools, in order to secure the future of our past. Although the subject of archaeology is not yet taught as a separate subject in its own right at precollegiate level in the US and UK, the good news is that there is an increasing number of organizations (both government agencies and individual archaeologists) who have made the effort to increase the availability of appropriate curricula resources for archaeology education. It is not in the scope of this post to list them all here, but I have provided a few links below for further information. Metcalf, F. 1992. Knife River: early village life on the Plains. A “teaching with historic places” supplement. Social Education 56(5): 312 ff. Rogge, A. E. and Bell. P. 1989. Archeology in the classroom: A case study from Arizona. Technical Brief No. 4, National Park Service. Archaeology Assistance Division, Washington, D.C.
Stone, P and Mackenzie, R (eds.) 1994. The Excluded Past: Archaeology in Education. Unwin Hyman: London. Stone, P. G. and Molyneaux, B. L. (eds.) 1994. The Presented Past: Heritage, Museums and Education, Routledge, London and New York. Smardz, K. and Smith, K. 2000. The Archaeology Education Handbook: Sharing the Past with Kids. AltaMira Press. 001 Welcome to my blog! 006 Why Teach Archaeology at Precollegiate Level? * Layton R. (ed.) 1994. Who Needs the Past? Indigenous values and archaeology. One World Archaeology. * Renfrew, C. 2000. Loot, Legitimacy and Ownership: The Ethical Crisis in Archaeology. Duckworth Debates in Archaeology. * Renfrew, C. and Bahn, P. 2016. Archaeology: Theories, Methods and Practice. Thames & Hudson.